The 2019 PDC World Darts Championship is starting today on 13th December 2018. The PDC World Darts Championship is one of the biggest events for the sport of Darts. The much awaited event comes around once a year. When is the PDC World Darts Championship 2018/2019 starting? The much awaited PDC World Darts Championship event starts tournament on Thursday, December 13. The starting time of the opening match will be 7pm. Fan Favorite and Defending PDC World Darts Champion Rob Cross will be going up against either Nitin Kumar or Jeffrey de Zwaan in the last game of the Opening Night. How long is the PDC World Darts Championship 2019 on for? The matches of the PDC World Championship 2019 will take place from the 13th of December till 27th December 2018. However the Tournament will be paused for 4 days in observance of Christmas 2018 holidays. The Final Match of the PDC World Darts Championship will be played at Alexandra palace on 1st January 2019. How can I watch PDC World Darts Championship 2019 Matches on TV|Sky Sports? All matches of the PDC World Darts Championship 2019 will be broadcast exclusively on Sky Sports Dart Channel. 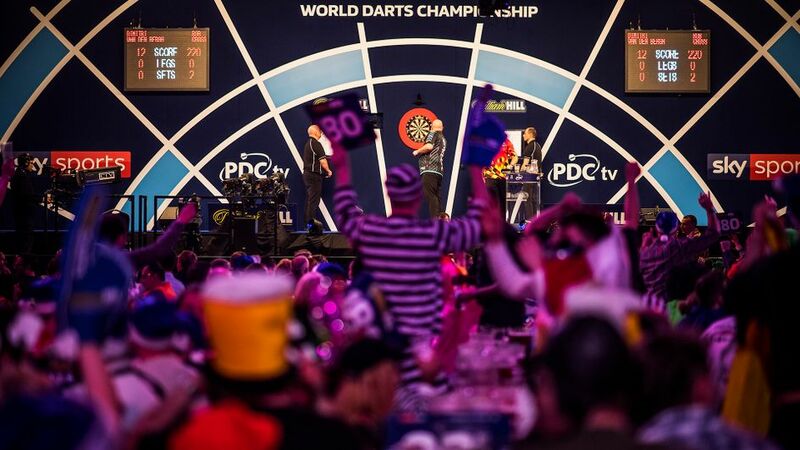 How to buy PDC World Darts Championship 2019 Tickets? PDC World Darts Championship Prize Money for 2019 ? This year round the PDC World Darts Championship 2019 has the highest prize money ever on offer. A whopping record of 2.5 Million GBP will be offered to the podium finishers of the championship. There is a record total of £2.5m in prize money on offer, £700,000 more than the amount dished out in the last tournament.